Enjoy this round up of the best islands in the world to travel to with kids in tow. Think long sandy beach, shallow reefs for snorkeling, warm water and an abundance of water sports. Not to mention the great kids clubs that most hotels offer when parents need a break and kids need some kid company! 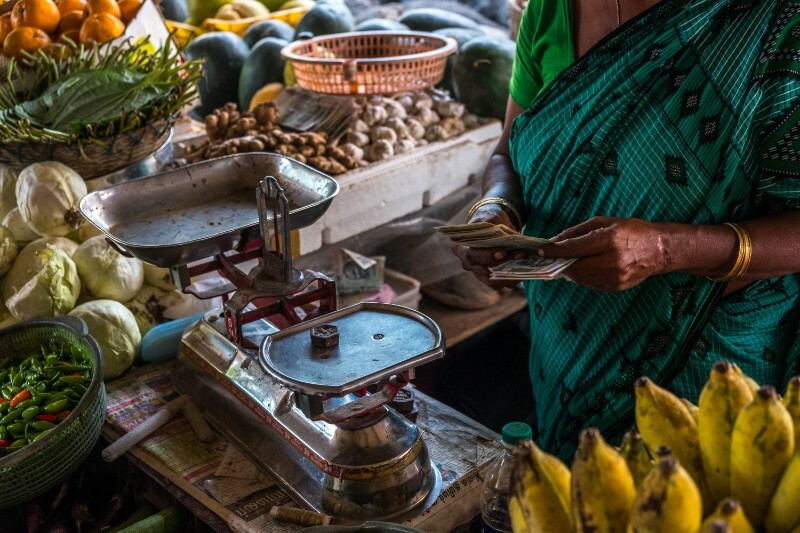 I also love that it has a unique culture that’s worth exploring too – visit the market at Grand Baie, the Pamplemousse Botanical Gardens to see the giant water lillies or La Vanille to visit the giant tortoises. Île aux Aigrettes is a popular ecotourism destination on an island roughly 800m off the coast. It preserves very rare remnants of the coastal forests of Mauritius and provides a sanctuary for a range of endemic and endangered species. Visits are only possible as part of a guided tour, and these leave from Pointe Jérome, close to Le Preskîl. Here you will see Mauritius as the early explorers would have found it… Aldabra giant tortoises, ebony trees, wild orchids, and the endangered pink pigeon and other rare bird species, yet, sadly, no dodo’s! My absolute favorite island to visit with kids is Zanzibar, just a short 20-minute flight north from Dar Es Salaam, Tanzania. 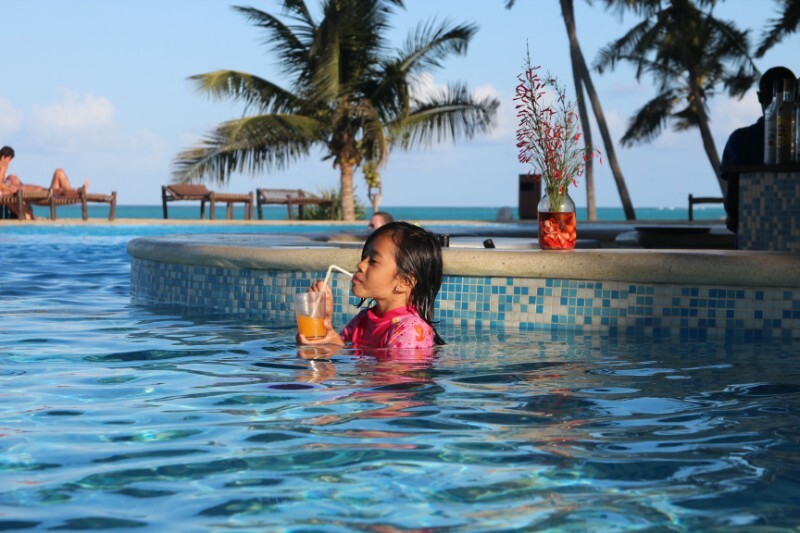 The kids are very familiar with island lifestyle since we live as expats in subtropical Taiwan, but our world benchmark for best beaches and island experiences is held by Zanzibar. Stone Town makes an excellent starting point for exploring the ornate wooden doors, shops, and cafes of this UNESCO World Heritage site city. My daughter loved looking at the jewelry, wood carvings, small wooden boxes and musical instruments for sale in narrow passageways and small shops. The best part of Zanzibar is the surrounding powder-white beaches, coral, and sandbars. Tide pooling on the east side near the famous Rock restaurant (a restaurant perched on a large coral rock) is excellent for finding seashells, crabs, urchins, and all kinds of fish. I recommend taking a traditional Dhow boat ride to explore nearby sandbars and tropical fruit while enjoying a relaxing swim in the warm waters. There is so much to adventure on the island like fascinating spice tours, butterfly farms, night markets, giant tortoises, and snorkeling. If Zanzibar isn’t already on your family travel bucket list, make sure to add it! When I mention where my favorite islands in the world are the Seychelles are the first ones that come to mind. Many people I tell don’t even know where they are to begin with, but once they see photos they are typically hooked. The Seychelles islands lie off the coast of East Africa in the warm Indian Ocean north of both Madagascar and Mauritius, parallel with Kenya. They are the perfect place to travel whether you’re on a romantic vacation or with a family. There is so much to do and enjoy it’s hard for anyone to get bored. First off the islands are incredibly beautiful. 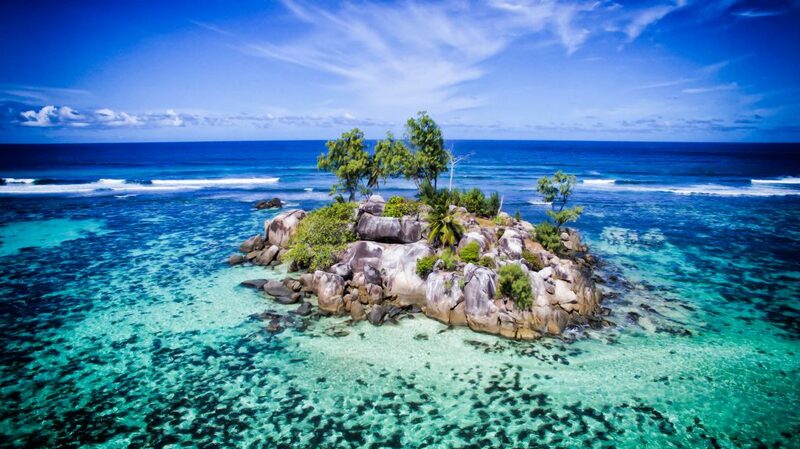 Imagine 1993 Jurassic Park, but without the dinosaurs and with clear turquoise water – that’s the Seychelles. They are rugged and have unique rock formations I have never seen anywhere else. For kids who love the water the ocean here is calm and warm. Many kids enjoy snorkeling, seeing the Albatross tortoise, stand up paddle boarding, or kayaking. For those families that wish to remain on land a trek through the jungle is the perfect way to enjoy the islands. For families I recommend staying at a fully serviced apartment. We found ours on Airbnb and it was comfortable with great views and a kitchen for much less than a fancy resort! When most people think of Abu Dhabi in the United Arab Emirates, they likely get images of skyscrapers and desert. But there is a little hidden gem, really close to the airport that is actually an island and absolutely packed full of fun family activities – Yas Island! Access is from the mainland by a tunnel, at one end or a bridge at the other so it can be quite deceiving that you’ve actually entered an island, but is basically where all the city’s fun stuff for families is kept! There are now three flagship theme parks on the island – Ferrari World, Yas Waterworld and the newly opened Warner Bros World. 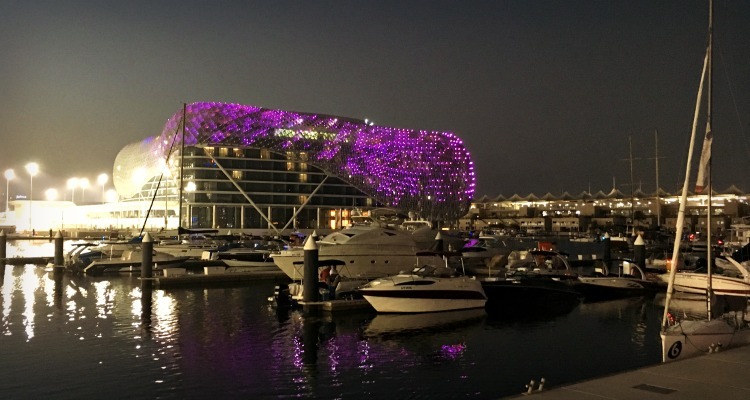 The island’s main attraction though centres around the Yas Marina Circuit. It comes alive not only for the annual grand prix in November, but along with Du Arena, it’s an entertainment hub throughout the year. Not just for car enthusiasts, several times a week they open the track for racing wannabes on pedal or by foot to do laps of the track – completely free! Now those that imagine calm blue waters and palm trees when they think of islands won’t be disappointed either. There is a chic marina promenade area perfect for evening entertainment with several bars and restaurants – including water features and a playground for the kiddos. Many boat charterers and cruises head off from the Yas Marina exploring the glistening nearby Gulf waters and inlets that surround the coast. Yas Island also has a private beach club, primarily for the island’s hotel guests but outsiders can get day passes to enjoy this luxury beach frontage. One of our favourite spots to take the kids on Yas though is Hickory’s. Attached to one of the most picturesque golf courses in the Middle East, this family-friendly restaurant opens out on to a spectacular manicured lawn with stunning sunset views back to the city of Abu Dhabi. With their weekend bouncy castle and lawn sports, its the perfect way to finish off your Yas Island experience. Lombok Island is only a hop and skip away from its very popular sister island called Bali. We much prefer to visit Lombok over Bali. Even though this island is more ‘raw’ and even more ‘wild’ than Bali, we find it to be much more kid-friendly due to its quiet nature. 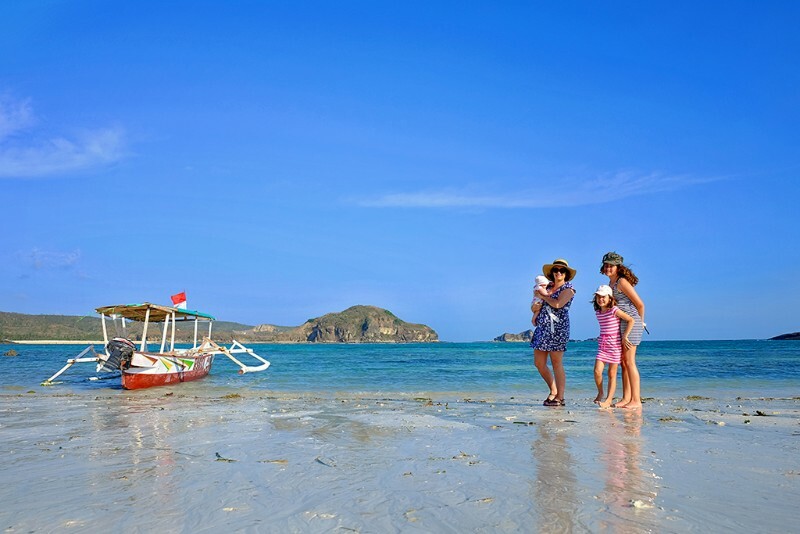 There are plenty of things to do on Lombok island with kids, most of which involves nature. You can easily spend a few days soaking up the stunning beaches around the Kuta area. The water there is truly spectacular. Selong Belanak Beach is especially great for little kids as it has lovely shallow, calm ocean water for them to play in. Our kids also enjoy visiting one of the traditional Sasak villages where they got to learn more about the local culture on Lombok Island. If your kids are older, you might also enjoy scouting out the beautiful waterfalls or even tackling the challenge of climbing to the summit of the volcano. We typically love to slow down and simply enjoy the peaceful vibes of this beautiful island though. Langkawi is my favourite island to visit with kids, I always thought Langkawi was more of a honeymoon island and was really surprised by all the kid friendly activities. 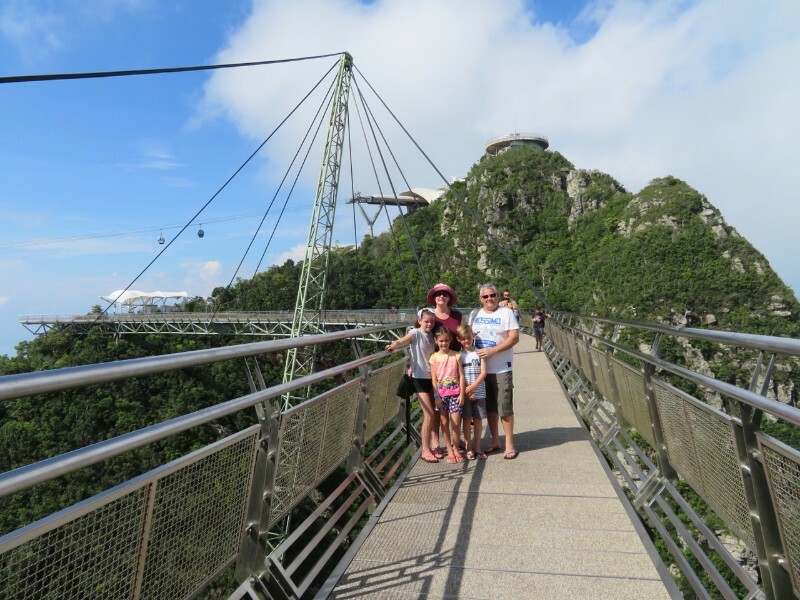 Langkawi’s most popular tourist attraction is the Sky Cab and Sky Bridge, perched above the Machincang Cambrian Geoforest and the gondola’s provide a 360 degree view, the VIP gondola’s also have a glass bottom to view the canopy of the forest below. The recently opened Paradise Island 101 is a man made island created for day trippers wanting to have fun. We spent a full day on Paradise Island 101 and we all had so much fun at the aqua park, zip lining over the edge of the island, banana boat rides in the bay in front of the island and jet skiing fun where the kids got to drive a jet ski with an instructor on the back with them. That’s only a couple of our favourite experiences, we also experience the UNESCO world heritage site, Kilim Karst Geoforest Park, sunset cruises, wildlife parks, a huge aquarium, local food markets, cultural show at the Aseania Hotel telling the history of Malaysia through song and dance. Not to mention the stunning pristine, white sand beaches and beautiful beach front resorts. Langkawi really does have it all. The prefect island to visit with kids. The perfect recipe for an island paradise is warm, turquoise water, white sand beaches mouth-watering food, and friendly locals. And few places put all this together in as beautiful a package as Palawan, one of the southern Islands in the Philippines. This beautiful island features bays stuffed full of tiny islets, wildlife galore, and some of the most scrumptious local foods in the world. Palawan has the added bonus of being filled with some of the most warm-hearted people anywhere in the world. Whether you are looking to treat your family to one of the region’s famous boat tours or get adventurous with some cave adventures, you’ll never run out of amazing things to do in Palawan. And if you want to slow down a little, just take a bike tour along some of the soothing rice fields where you’ll see farmers on water buffalo tending fields under blue South Pacific skies. 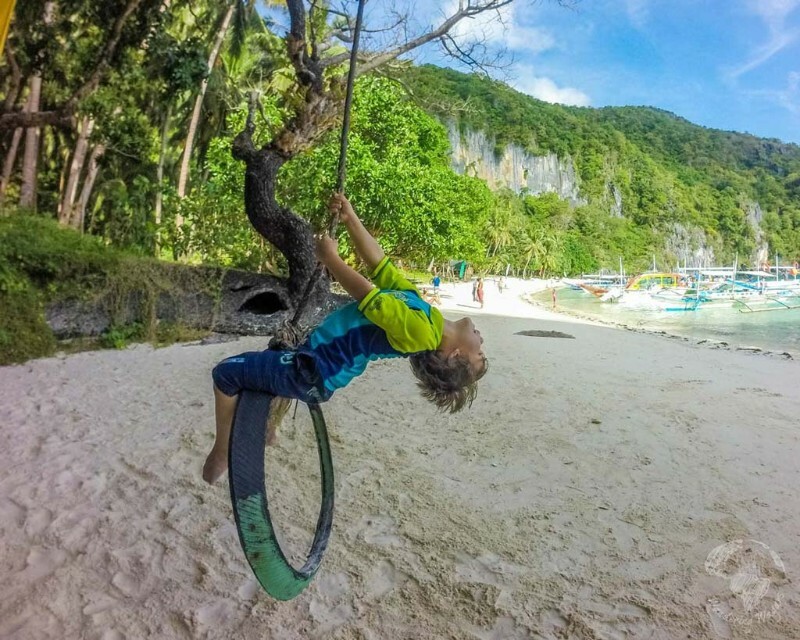 No matter what type of family travel experience you’re looking for, you’ll find something you love in Palawan. For some family travelers, Borneo conjures up images of headhunters, dense rainforests, and somewhere far from civilization. Indeed, much of its pristine beaches and the lush canopy of the interior remain untouched and untamed by crowds. Yet Borneo offers much more for families. Looking for sunset cruises and luxury resorts? Head to Kota Kinabalu. You’ll also find world-class scuba lessons for the teens while younger kids snorkel past clownfish and sea turtles. Seeking adventure? Whitewater rafting of various skill levels not far away. Families looking for a mellower vibe should head south to Kuching. Here you’ll find a sleepy city centre with broad sidewalks following the river past cafes and charming family-run restaurants. Fresh lobster and other seafood are found throughout Malaysian Borneo, at prices that may seem hard to believe. Cultural adventures begin by exploring the indigenous tribal centres in Sabah and Sarawak. Or head into neighbouring Brunei to see some of the most beautiful mosques in Southeast Asia. For those seeking wildlife, the world’s third-largest island offers opportunities to see rare creatures in natural habitats. Whether it’s orang utans at Kalimantan’s Camp Leakey or the Proboscis Monkeys of Bako National Park, Borneo helps your family discover its wild side. Singapore is a children’s paradise! It has so many amazing adventures for kids to enjoy. We loved the Buddha Tooth Relic Temple, and the incredible Gardens by the Bay which includes a water park and playground specifically for kids. Nearby is Marina Bay Sands, which has a 360° view over Singapore from the Skypark on top. The Science Centre is enormous and state-of-the-art, with so many interactive displays that it warrants more than a day of exploring. It also includes KidsSTOP which is a fun area for younger kids, the Omni Theatre showing digital movies and planetarium shows, and Snow City: a permanent indoor snow centre. There is also the Jurong Bird Park and Singapore Zoo and Night Safari, which are hugely popular with people of all ages. Our family doesn’t support animals in captivity, but other travelers love their open enclosures and free-flying aviaries. And Sentosa Island, just off Singapore’s south coast, is a whole children’s attraction in itself! It has a discovery centre and nature walks, family-friendly beaches and an outdoor cinema, Universal Studios, a skywalk and cable cars, a wave house and water park, Madame Tussauds and a Trick-Eye Museum, KidZania, spectacular shows and so much more. 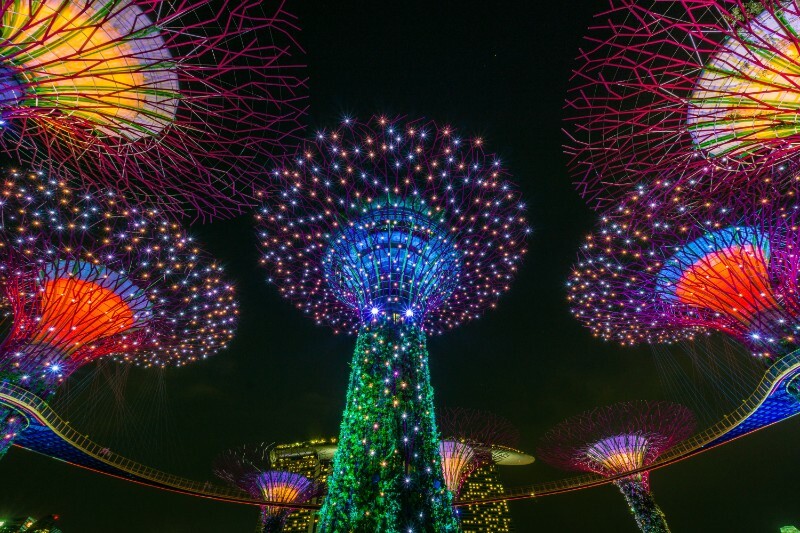 If you have the time and the money, your kids will never want to leave Singapore! Andaman & Nicobar Island in India is a tropical paradise. Dominated by unspoilt beaches, crystal clear water and exquisite marine life and virgin natural trails, Andaman can be a perfect destination for families, especially with kids. Havelock Island and Neil Island the two most famous island getaways in Andaman, both having serene and clean beaches where the kids can enjoy swimming and making sand castles as well. Andaman is also a great destination for scuba diving and snorkelling. You can also go for the glass bottom boat ride to see the amazing underwater marine life. There are small jungle trails on Havelock Island that can make a great family outing. Neil Island, being a small island and relatively uncrowded is perfect for cycling tours with your kids. For an activity and adventure packed vacation with family and kids, Andaman surely fits the bill to tee. Sri Lanka is a great destination for families. The country is easy to get around, there are many great places to visit and experiences to be had, and most importantly, the locals are very friendly and welcoming and absolutely love children. 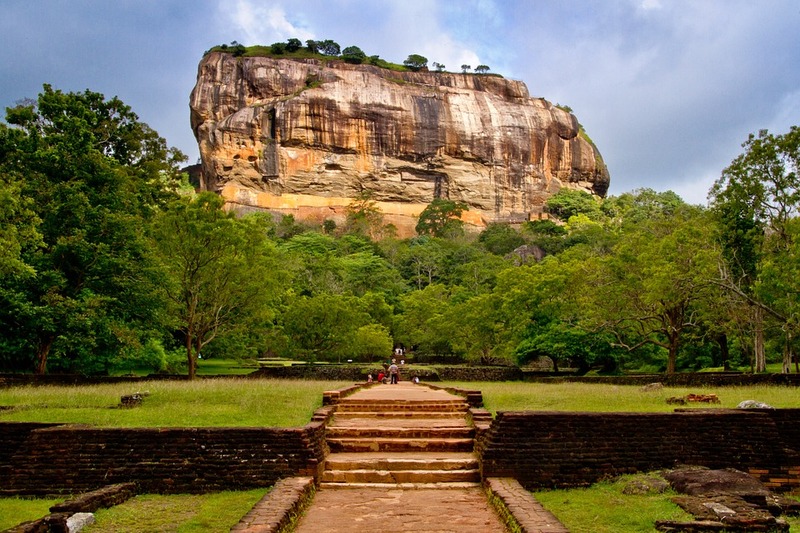 Sri Lanka is a small country and it is easy to travel between cities and towns, which is super convenient for families. There are many different transport options available including the well-priced rail network, with comfortable seats and air conditioning, as well as the ability to hire a car with a driver for a quick and hassle free trip if needed. Getting around cities and towns is also a breeze with cheap tuk-tuks readily available, which were great fun for our 6 year-old, as well as the usual ride-sharing apps, such as Uber, in the bigger cities. There is no shortage of cool things to do in Sri Lanka to keep families entertained. These include safe beaches, whale watching (with life jackets mandatory), extremely well priced safaris through national parks (this was a particular family favourite for us), as well as having some superb timeless ruins to explore. Younger children are usually admitted free to most sites. Sri Lankan’s are also very friendly and welcoming. We sought out many genuine homestays available for families to stay at. Our child was always the centre of attention, and she was allowed to run around each of the homestays we stayed at without a problem. Sri Lanka is an interesting and fun destination, and one which is a terrific destination for families to travel to. Taiwan is truly the best island in the world for families and kids. Taiwan has about 24 million people and is located just over 2,000 km from mainland China – it is actually a geographical collection of 166 separate islands! CNN and Lonely Planet have both noted Taiwan’s growing popularity and rising status as a safe, culturally rich and outdoor enthusiasts must-see destination in East Asia for it’s high mountain tea fields and bamboo forests, white sand beaches and tide-pooling areas for kids to explore. The local people are so kind, warm, and hospitable and almost everyone speaks English which makes traveling around easy. People will go out-of-their way to help you when they see that you are a tourist. Taipei is a city worth visiting on its own for the exciting night markets with cheap carnival games and exotic delicacies sure to fascinate kids and adults both. The Night Markets are incredible. Taipei has over 15 different night markets and every city and town has a local night market too. Some of the local specialties include Oyster Omelette, Beef Noodle Soup, Stinky Tofu, Coffin Sandwiches, and of course Bubble Tea which was invented in Taiwan. My favourite part of Taiwan are the south and east. I recommend checking out Kenting National Park, the southern-most point and Taroko National Park, with a spectacular gorge cutting through the park. Another tip is to get an EASY CARD which you can use on buses, trains and convenient stores as well as sightseeing attractions around all of Taiwan. 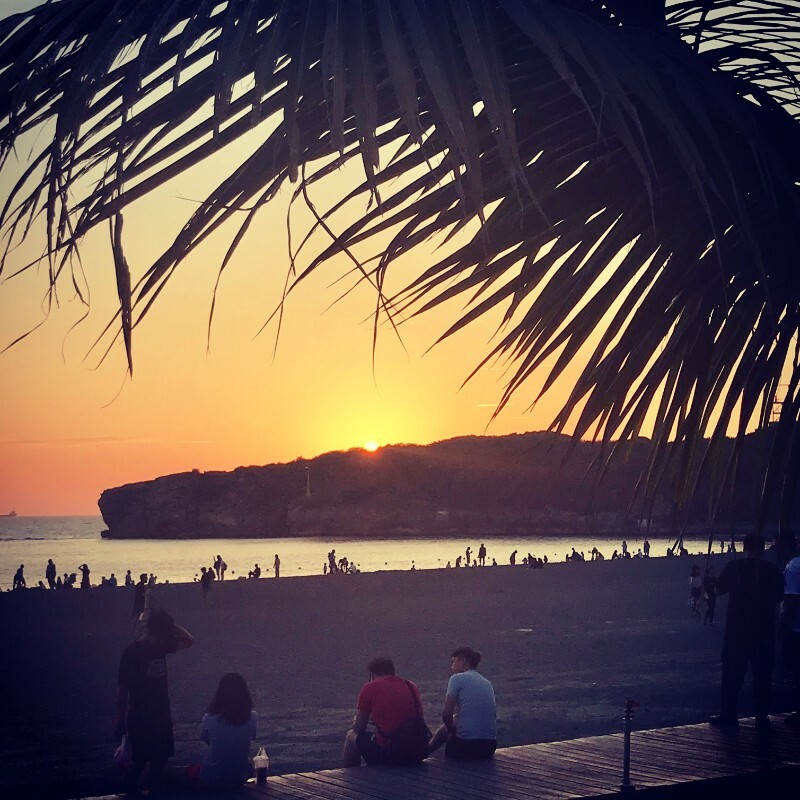 Taiwan is a great island to visit as a family – be sure to visit to see for yourself why the beaches, mountains, and urban energy offer something for everyone. My recommendation for the best island for families and kids in India would be Pamban islands which extends from Rameswaram till the border of Sri Lanka. The island trip can be a perfect gateway for families and kids and a wonderful treat for people looking for some relief and harmony from the daily percussions of life.The island is a wonderful retreat for people as we can witness the longest sea bridge along with some fishing merchandise in the zone. 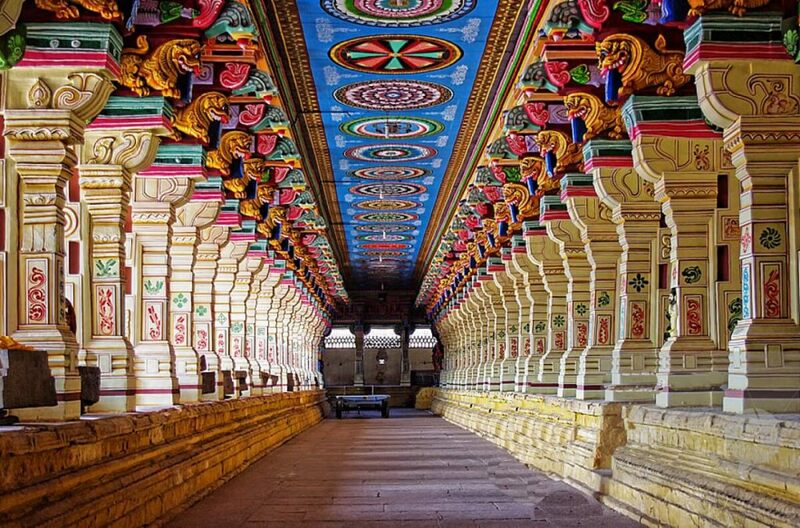 Apart from these activities, one can plan a visit to the temples that are there in the region and other attractions like Dhanush Koti and boating.The island is clean and well maintained by the Govt of Tamilnadu as it continues to be one of the heritage sites in the country. The island is connected with Rameswaram in India and the border of Sri Lanka which is an important bridge between the two countries. 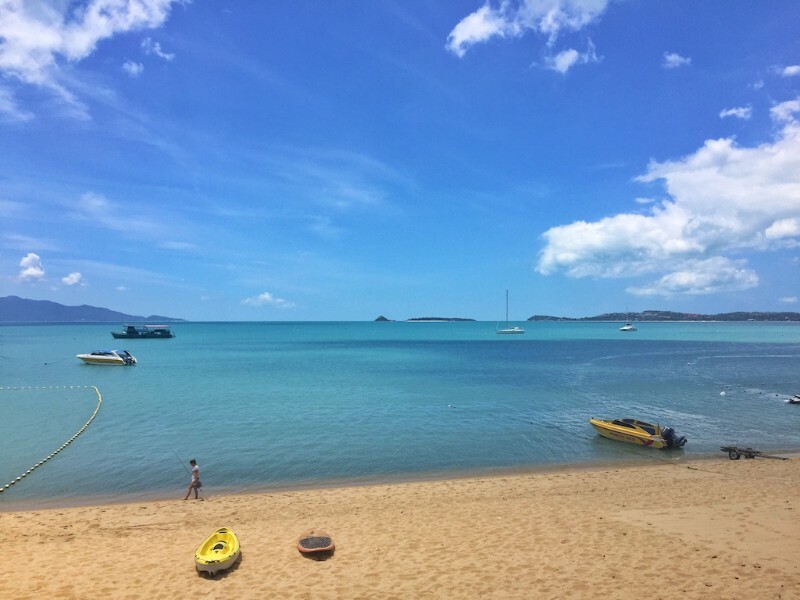 Koh Samui is one of our favourite Thai islands for a holiday with kids. Koh Samui is much quieter and more laid back than its Thai island cousin Phuket. It boasts stunning white sandy beaches, a good selection of excellent restaurants and a large choice of family friendly resorts. If you are a beach-loving family you will be spoilt for choice when it comes to finding a gorgeous beach to hang out on for the day. But there is more to Koh Samui than just beaches and you will find plenty more to do to entertain the kids. Kayaking and snorkeling in Ang Thong Marine Park is a popular day trip for island hopping and exploring lagoons. There are also two fun water parks to choose from on the island, plus canopy adventures, go karting and crazy golf. Don’t miss a visit to the famous Big Buddha temple to visit for a morning of culture. Penang Island is located in Western Malaysia. Once a world-renowned trading port, Penang Island is home to one of the UNESCO Heritage Sites. The heritage area is very well-preserved and attracted tens of thousands of visitors every year. Few years back then, street paintings were painted on the heritage wall and somehow became a ‘landmark’ of Penang Island. When visiting with kids, there are plenty of things to do in Penang Island. 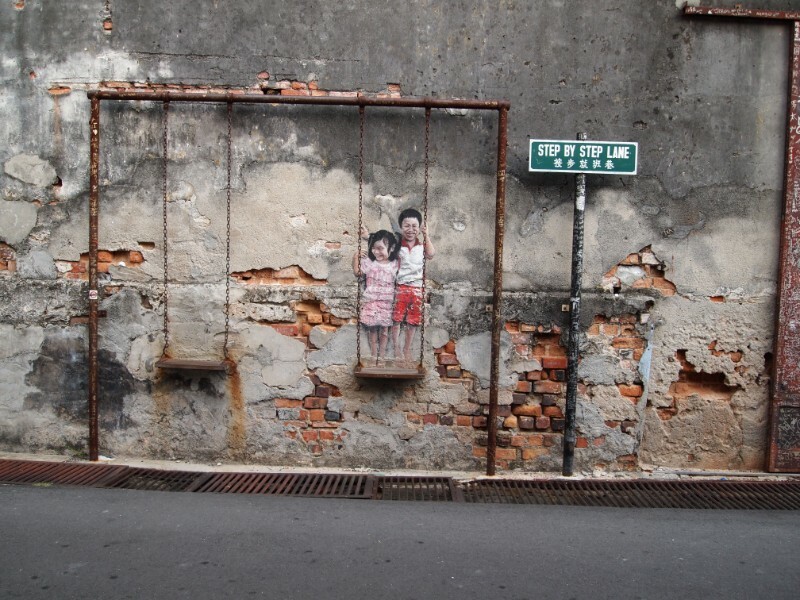 Exploring the street arts in heritage area with kids with a map in hand is a great option. If you’re looking for a thrilling experience, head over to ESCAPE Theme Park, where you can spend your whole day having fun with your family. There are plenty of museums for you to choose, but War Museum is highly recommended compared to the commercialized museums in heritage area. ‘Shhh!! Don’t tell anyone about this little known Canadian gem! The beautiful Cape Breton Island is located in the Canadian Province of Nova Scotia. 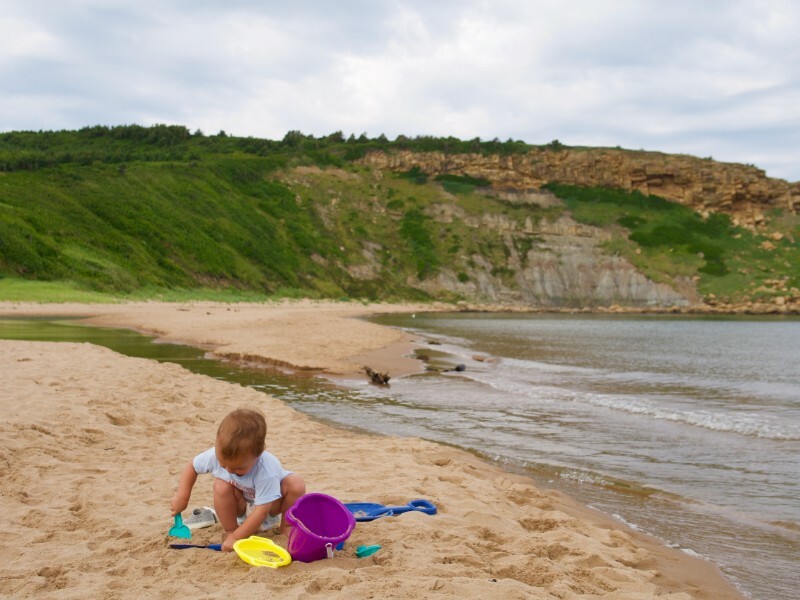 Cape Breton Island is a perfect place for a quiet and uncrowded family getaway. As you drive along the famous Cabot Trail, prepare to ‘ooo’ and ‘ahh’ with every turn. The iconic Skyline Trail hike is perfect for all ages and the views are out of this world. Fancy a trip to the beach? You might just find that no one else is there, even in the high season! And don’t forget the seafood, OH THE DELICIOUSNESS! We enjoyed lobster suppers, fresh crab, and lots and lots of Nova Scotian hospitality on our trip. 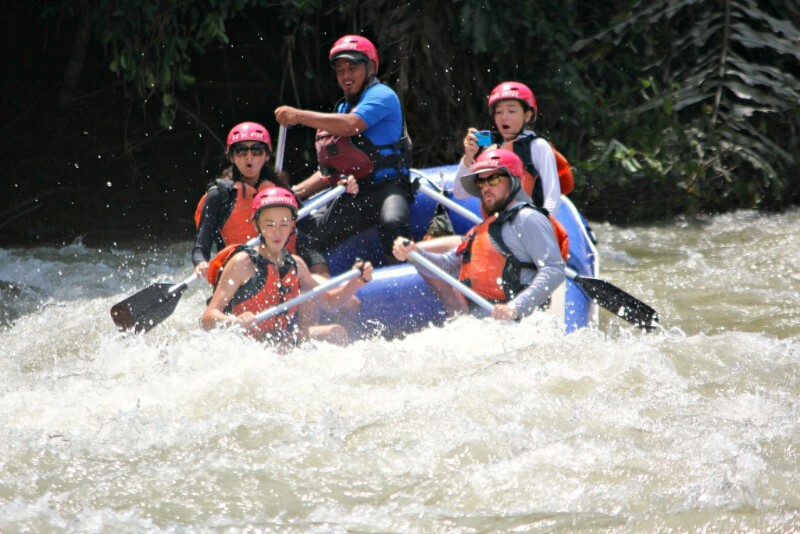 For adventurous families, there is lots of fun to be had! Whale watching, deep sea fishing, and kayaking are all available on the island. Cape Breton Island is also home to Cabot Cliffs, one of the top-rated golf courses in the world. With something for everyone, Cape Breton is definitely worth a look for your next family vacation! When you think of islands, the last place you will probably think of is Toronto. Yes! few people know that this busy metropolitan city has a small group of islands on Lake Ontario just across from downtown. The main island called Centre Island buzzes with activity and is an ideal picnic spot for families during summer. 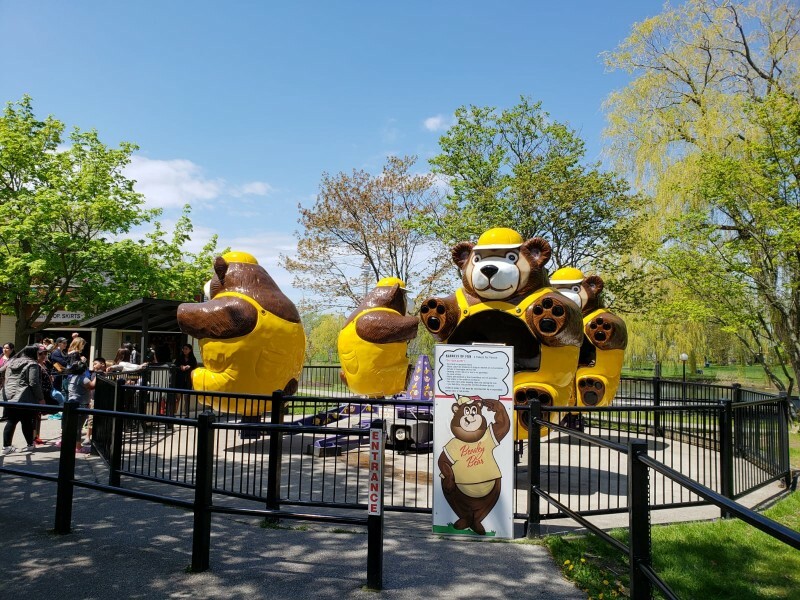 Young kids particularly enjoy the island as there is as an amusement park called Centreville, which features classic rides such as the giant wheel, an antique carousel and other rides. When I visit Toronto Islands, I love renting a quadricycle from bicycle rental place to explore the island with my family. Of course, you can also take your own bikes on the ferry and ride it on the island. Another interesting way to explore other islands and secluded parts of the island is by boat which you can rent at the boat rental place. The island has many sandy beaches. The main beach, Centre Island beach, is usually crowded and full of tourists. If you walk up a bit further away from Centre Island beach in either direction, you will find some nice secluded beaches. I am glad that if I need an island getaway, I don’t have to travel far. I just need to board a ferry! 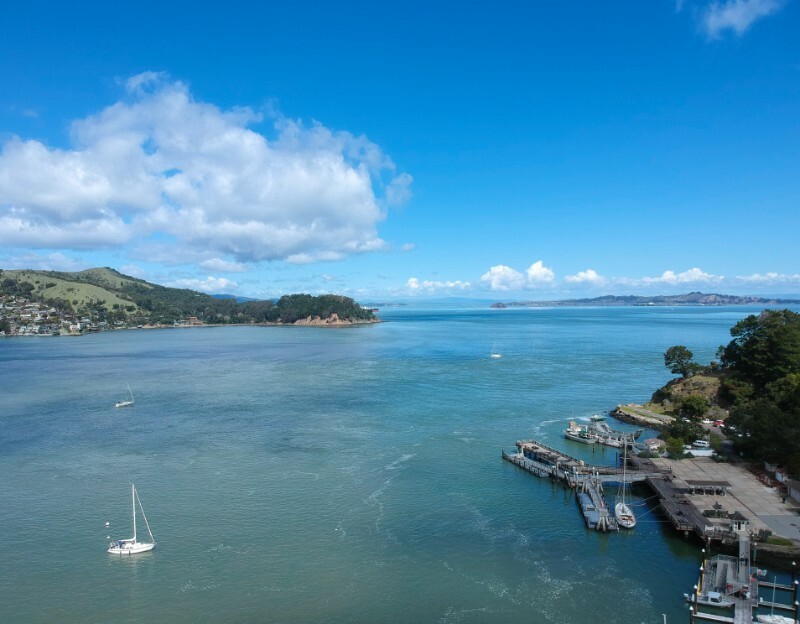 One of our favorite islands to go with our kids is an island off of San Francisco called Angel Island – the island is an unknown gem. It’s about a 30-45 minute motor boat ride (on your own boat or a ferry) or about an hour and a half (depending on the wind) by sailboat from San Francisco. You can go hiking, biking, ride a tram or Segway, picnic, or enjoy live music at the cantina there. You can camp overnight or stay on your boat. We love to play at the little beach with picnic tables right off the shore. The waves are little and the water is shallow so it’s perfect for little kids! First off, it has a separate family beach that includes a floating dock with 2 water slides (this is my kids’ favorite part of the island). We usually spend at least an hour swimming from the beach to the floating platform and taking turns on the open or closed slide. We also love to snorkel. There is a great snorkeling trail that you can see a sunken boat and an underwater Mickey. There are always plenty of fish to see, but nothing too big because there is a net around the lagoon that keeps out larger fish. We also love to rent bikes and ride around the island to the lighthouse. In addition, characters are everywhere. Be ready with your cameras because there are photo opportunities all over the island. Lastly, there is a kids only camp where you can drop off your children (ages 4 and up) and they can play basketball, beach games and more. We usually drop them off for an hour, as we get some time to ourselves and they get to play with other kids. 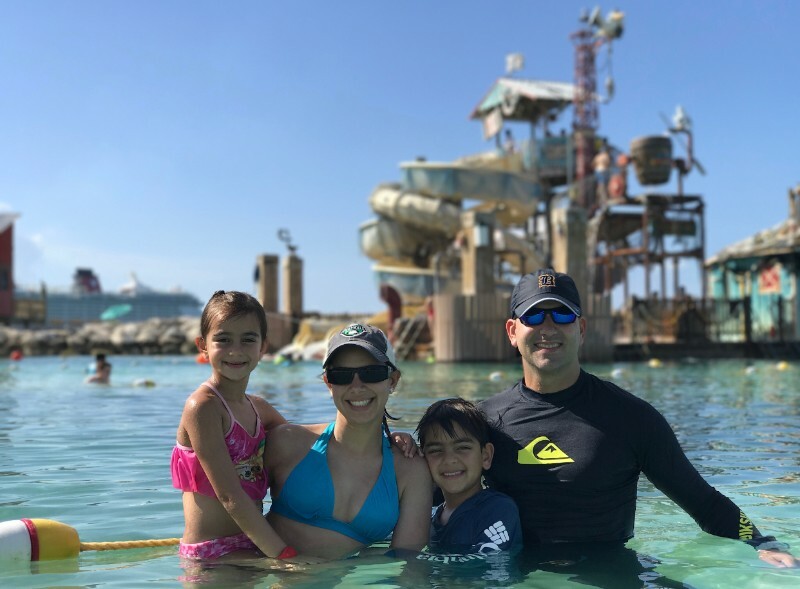 All in all, Castaway Cay is a family’s paradise! It is my top pick for best island for kids due to the many activities and picturesque beach environment. 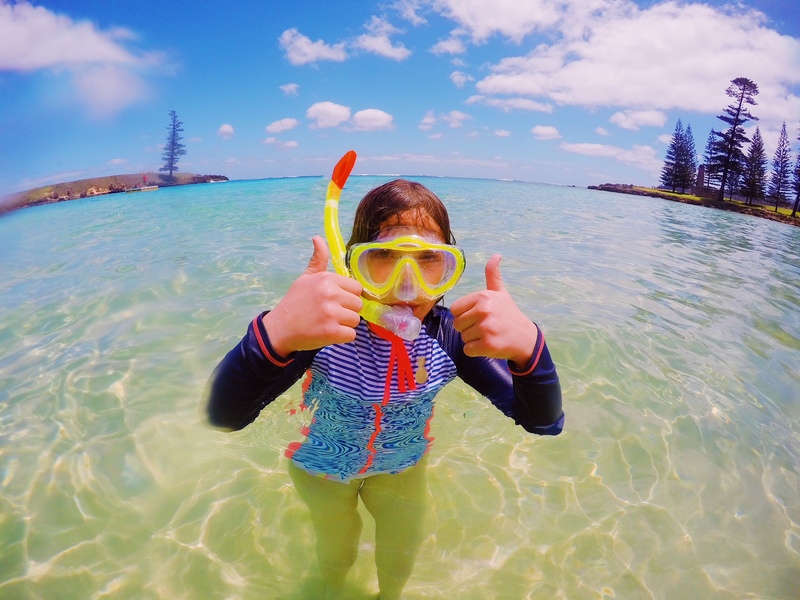 Pristine beaches, awe inspiring mountains, sunny skies, amazing sunsets, cultural experiences, great food, shopping and museums, make Oahu my pick for best islands for kids. It’s the perfect mix of relaxation and nature while still having big city amenities. The weather is perfect year-round although you will see more rain between the months of November and March. It’s almost always sunny somewhere on the Island so if the forecast calls for rain, check the leeward (west) side or the North Shore. If you do find yourself rained in, visit the Bishop Museum which holds the world’s largest collection of Polynesian cultural artifacts. For a full day of cultural education – not to mention an award winning luau, head over to the Polynesian Cultural Center. There are many great hikes throughout the islands for all skill levels – including some that are completely paved and stroller friendly. Have I mentioned the beach? Whether you are looking for a calm shoreline for your toddlers to safely splash around or 30 foot waves for experienced surfers, you’ll find it on Oahu. 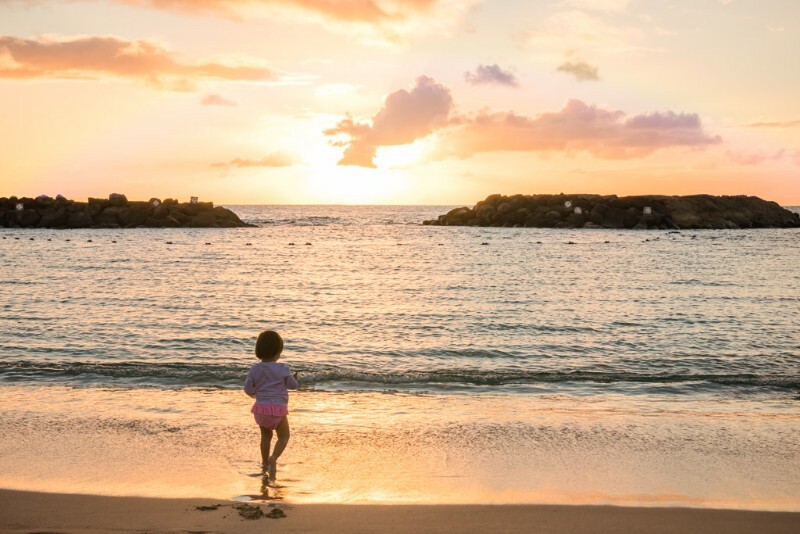 The best beaches for smaller kids are found in Ko’Olina which has a series of protected lagoons, it’s also a great place to watch the sunset. 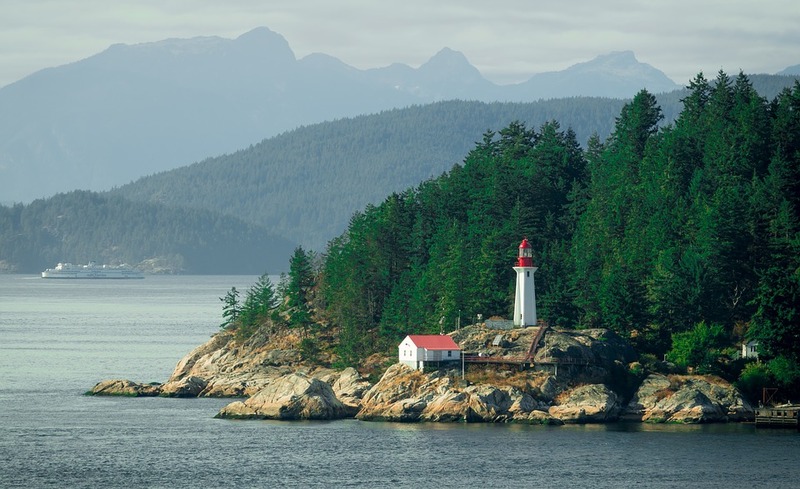 Vancouver Island on Canada’s West Coast is one of the best islands to visit with kids because of its scenery and wealth of attractions for kids! Whether it is exploring Victoria’s Royal B.C. 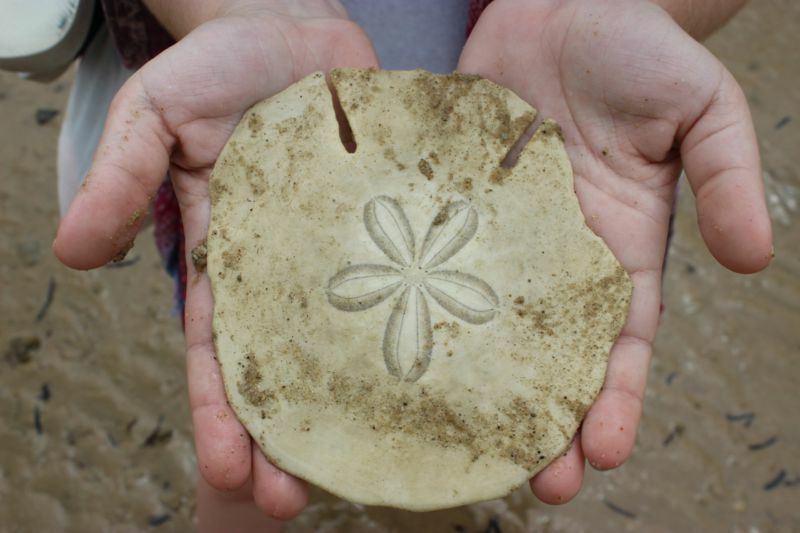 Museum, or beach combing on the Island’s pristine sandy beaches, there is something for kids of all ages. We love visiting the cities of Victoria and Nanaimo and driving up the coast to the sea side towns or across the island to Pacific Rim National Park and Tofino. Vancouver Island is also home to the world renowned West Coast Trail and other amazing multi day and single day hiking trails! The best way to see the island with kids is definitely with a car. You can access the island from Vancouver via BC Ferries and the crossing is 1.5 to 2 hours depending on the port. 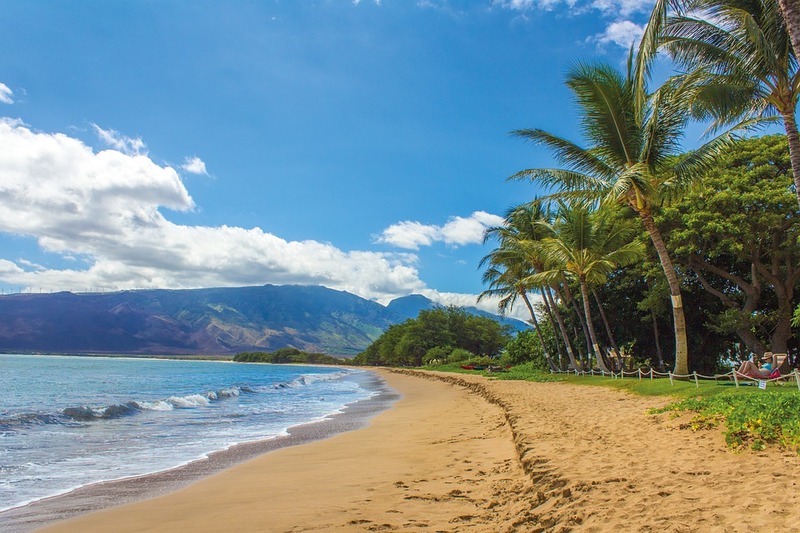 There are three reasons why Maui is my favorite island in the world to visit with kids. First, from a purely practical standpoint, it’s pretty easy to stay safe here. You can drink the tap water, so you don’t have to worry about your kids getting sick from that. Jellyfish are uncommon on the majority of popular tourist beaches. And the scariest thing you’ll see in the jungle is a centipede. Second, the island is packed with fun things to see and do. There are countless beaches — including red, black, and white sand — where you can go swimming, boogie-boarding, snorkeling (try the one at Black Rock! ), and then end your day building sand-castles at sunset. The diverse landscapes here are incredible, ranging from the summit of the Haleakala volcano where you’ll feel like you’re on the moon, to the tropical paradise you’ve always dreamed of in the jungle. And a luau is a must-see, since no trip to Hawaii is complete without it. Finally, accommodations are available in a wide range of prices whether you want a budget condo rental or an upscale hotel like the Hyatt Regency (they have an absolutely amazing pool area for kids, by the way!). Bermuda is an excellent island destination for families. Less than a two hours away (via plane) from many cities in the East Coast like New York, Philadelphia and Washington D.C., Bermuda is very easy to get to. Once you’ve arrived on the island, there is so much to do including visiting a variety of pristine beaches like Horseshoe Bay, Tobacco Bay and ClearWater Beach. Go kayaking, snorkeling, or spend the day swimming and building sandcastles. Marvel at Bermuda’s pale-pink sand beaches and learn about the small pink shells and red coral microorganisms which create this unique red hue. For sightseeing off the beaten path, I recommend biking or walking the historic Bermuda Railway Trail. The Bermuda Railway Trail is an old rail trail that dates back to 1926. It is now a picturesque nature trail. Hugging the rugged coastline, the Bermuda Railway Trail covers the majority of the island and there are many sections to explore. Spot old castles, churches and lighthouses along the way. Hamilton Island in the Whitsunday Islands in Australia is a perfect family friendly destination. We were staying at the Reef View Hotel, with huge interconnecting family rooms, with amazing views of the bay. Our days were spent at the beach or doing one of the many activities, everything from tennis to mini-golf. Watersports are free and our boys loved paddle boarding and kayaking. Everything is geared up for kids, with plenty of family friendly restaurants, even a breakfast with koala bars! 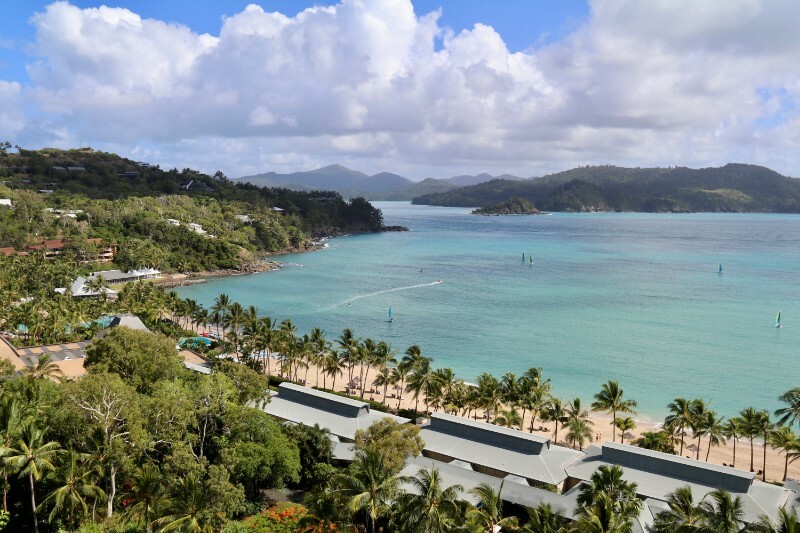 Any stay at Hamilton Island would not be complete without either a trip out to Whitehaven Bay or the Great Barrier Reef, both easily accessible from Hamilton island. We opted for a day at Whitehaven Beach by catamaran, a wonderful day, at one of the worlds’ best beaches. My favourite thing to do on North Stradbroke Island is to swim in the crystal-clear waters. Whether you like a bit of surf or calm waters, there is the ideal beach here for you. I highly recommend taking the kids on the 1.5 km North Gorge walk. This walk has spectacular views from the headland across the Pacific Ocean. From the designated walk ways, you can easily spot dolphins, turtles and manta rays as well as whales during the months of June to November. Along the path you most likely will see kangaroos grazing as well as well as a variety of bird life. Other popular activities on Straddie are surfing, kayaking, stand up paddle boarding, fishing and 4WDing. 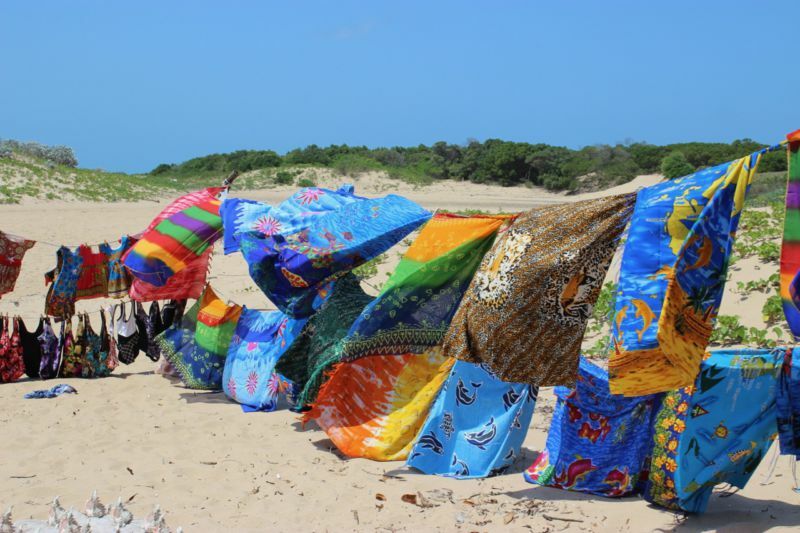 Families love camping on Straddie. If you camp along the waters edges you will be in prime position to watch dolphins frolic in the water, see pelicans fishing and possible even a koala or two. 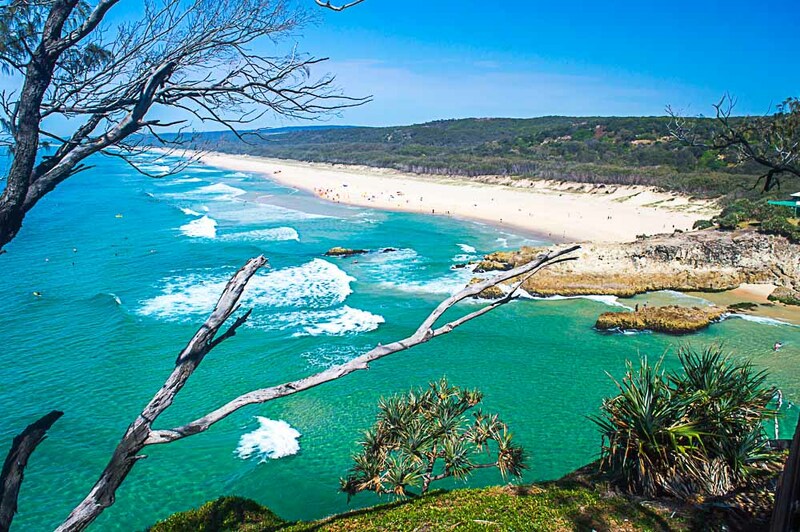 Stradbroke Island is perfect for a day trip, a long weekend or 2 weeks. Fiji, in the sun-kissed South Pacific, is perfection for families needing to escape from reality. For when you need a real holiday. One from which you return rested and rejuvenated. The secret to this idyllic island vacation is the Fijian people. This family-focussed culture means that children are cherished, which makes for resorts with amazing kids clubs and nannies. Knowing that your kids are so well cared for means that you and your partner can have some rare time alone. For us that was bliss! A Fijian holiday is typically a resort holiday. With warm, tropical weather all year round it is a wonderful place for playing in the pool, on the beach, waterslides and snorkelling. We’ve been several times and tend to spend most mornings in the pool with the kids (or supervising from a sun lounge when they were older), then afternoons in kids club. Throw in the occasional day trip to explore further afield and you have a fabulous holiday. 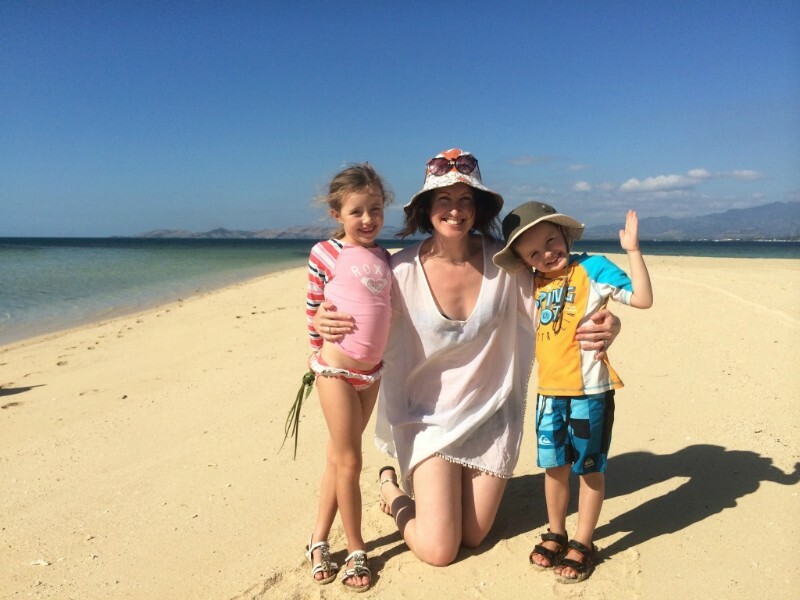 Fiji is my kids’ ideal holiday. Hours playing in the water is their idea of heaven. But the gorgeous weather, palm-fringed beaches and luxurious resorts make it one of my favourite destinations too. Tasmania lies off the coast of southern Australia. Tasmania is the only state of Australia not on the mainland. Tasmania was used early on by the British as a penal colony for convicts coming from England. Tasmania today is know for its large untouched, wilderness areas. These untouched areas form The Tasmanian Wilderness World Heritage Area consisting of National Parks, coastal areas, mountains, valleys and plains. Tasmania with children can be one big adventure. History can be learned about Australia’s convict past by visiting Port Arthur where over 30 convict-built structures and ruins remain. A boat trip to the Island of the Dead at Port Arthur is a cool experience. Port Arthurs more recent past is it the location of Australia largest mass murder in the 1990’s and a catalyst for Australia’s strict gun laws. Brumy Island near Hobart is home to some amazing wildlife such as fur seals, fairy penguins, white wallabies and vast population of native birds. Kids love Penguins and to see them in there natural habitat is amazing. The beaches of the east coast of Tasmania provide calm waters for swimming, surfing and wave chasing. Bush walking and hikes are a plenty in Tasmania with hikes ranging from a short stroll to multi day treks. Some easy walks suiting kids can be found around the amazing Cradle Mountains site and on the coast neat the spectacular bay of firs and wineglass bay. When your kids get older and they hit the tween years holiday adventures become an opportunity to reconnect and enjoy some much needed family time together. Norfolk Island, a speck in the Pacific Ocean half way between New Zealand and New Caledonia, is a destination that offers plentiful adventures to keep everyone happy away from the hustle and bustle of your typical tourist island. Norfolk Island is one of the most idyllic Australian destinations boasting some of the most beautiful beaches in the world. At only 34.6 km², the island doesn’t have the kids clubs, shopping malls and fancy hotels of larger hot spots, but it does offer reefs to explore without a crowd, a rainforest filled with birdlife (in summer you can see the seabirds nesting), one of the 11 UNESCO convict sites – Kingston, and secluded beaches for just you and your family. Hot tip: head to Emily Bay when the tide is low and you *may* spot the resident sea turtles through the water. But what we loved most was the disconnect from technology and the kids delight in hearing the stories of the locals, many who are direct descenders from the Bounty Mutineers. 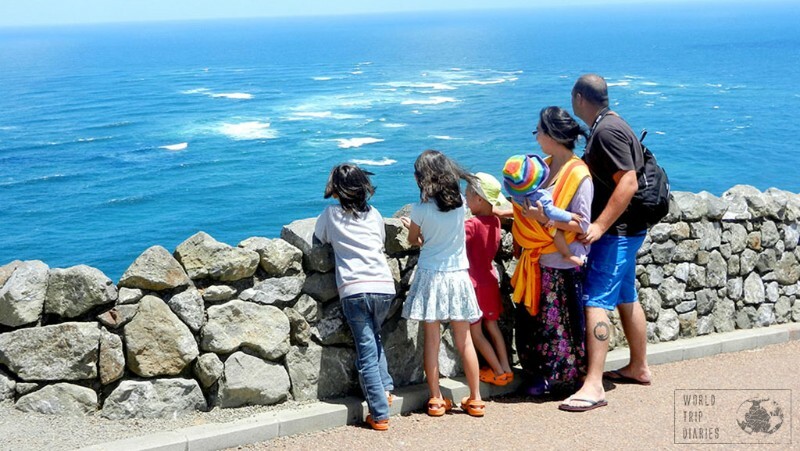 New Zealand is an extremely family-friendly destination! First off, there are beaches of all kinds (from white sand, pink sand, black sand, surf beaches, beaches with no waves at all, hot water beaches, unbelievably clear water beaches, and more). It’s an island (or two) after all. Even when it’s chilly, there’s always something to do at the beach. Then there are parks and playgrounds everywhere. Some are a little bit sad, but mostly, they’re quite fun. Of course, there are mountains, rivers, lakes, unique wildlife, and just so many outdoor activities all around. You can do a lot for free. You’ll also find just as much indoor entertainment (mostly paid) to suit every family. And many, many museums! But that’s not all. People are friendly, most restaurants and cafés offer child meals, and you can take your child to almost every single place you go, and it’s safe as safe can be. It’s also one of the most beautiful places in the world, so there’s no way to miss it! 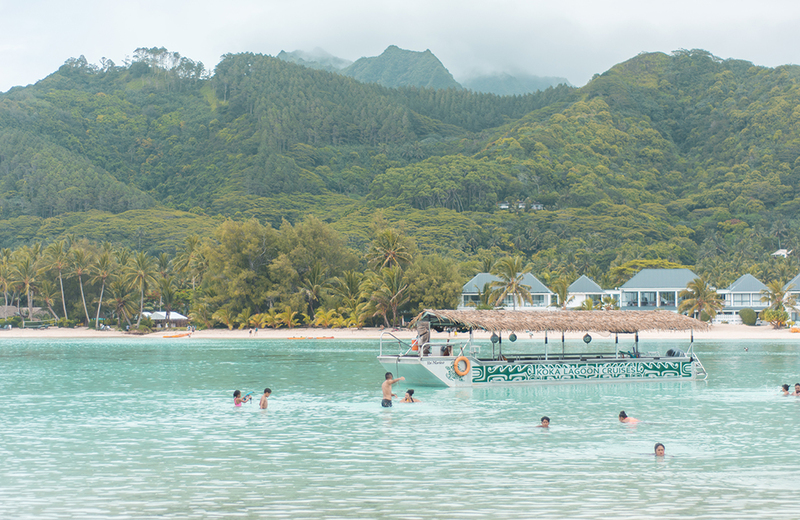 Located in the South Pacific, Rarotonga is the perfect island getaway for families. Measuring only 32 kilometers in circumference it is easy to travel around, whether you hire your own vehicle or take the bus. This slice of paradise is set up perfectly for families with both young and older children with a variety of activities available to keep everyone busy. From cruising the lagoon in a boat with live entertainment, local dance performances, swimming with turtles and plenty of snorkeling opportunities it is hard to get bored here! Accommodation options are plentiful with many resorts offering kids clubs to give the parents some all important alone time. Though, if you are wanting to avoid the all inclusive experience, Air BnB is another popular option. Lastly, even though it is in the middle of the South Pacific it is relatively easy to travel to. Direct flights are available from Los Angeles, New Zealand and Australia, with the latter two having multiple departures per day. 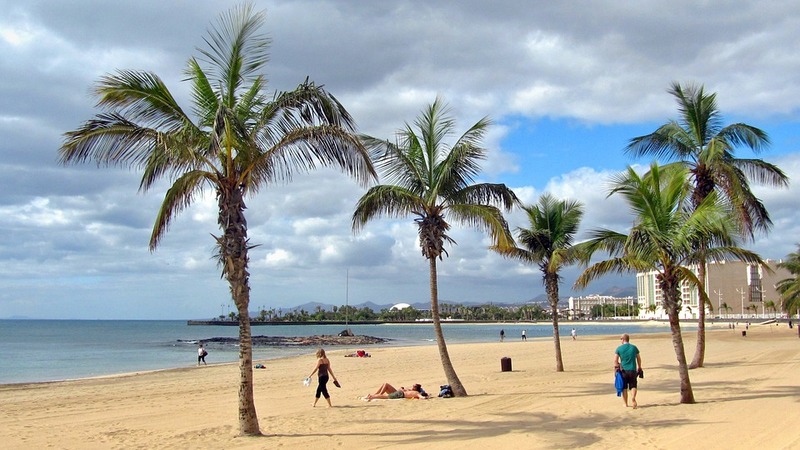 Lanzarote in the Canary Islands is a fantastic place to visit for the whole family. For example you can tour the Timanfaya National Park with incredible landscapes for the parents and the geological experiments before the tour for the kids. Lanzarote is also home to some unique architecture thanks to the work of César Manrique: you can descend in lava tubes or tour a cactus garden. The museum of LagOmar will be a favorite for the kids as it feels like a Labyrinth with lots of places to explore while the adults will enjoy how the design integrates with nature. No time to get bored on Lanzarote! 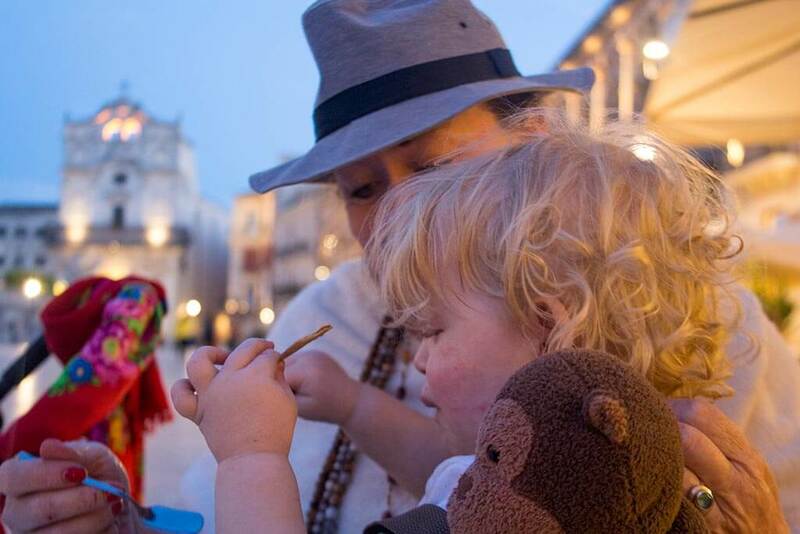 Sardinia has to be the ultimate destination island for families traveling with kids. The variety of beaches in Sardinia is incredible: from long, sandy beaches with shallow waters that are easily accessible by car (and even with a stroller) and where kids can spend countless hours playing in the sand, to smaller coves that are just as fun for water games; beaches in Sardinia never cease to amaze and entertain. 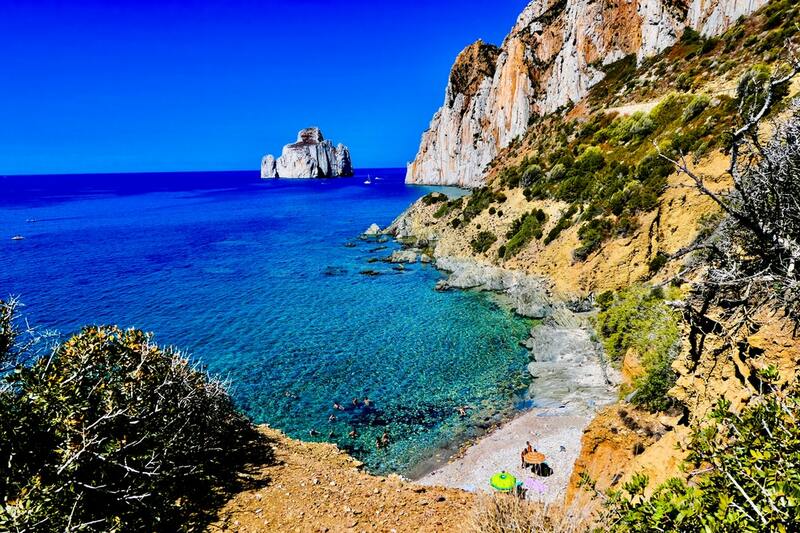 But there’s more: Sardinia has lots of beautiful cities and villages; festivals throughout the year – for food, wine, culture and all of them with activities that children will love; nature is stunning, with many hiking trails whose difficulty levels are perfect even for younger kids. To top this off, the food is simply delicious and even the fussiest eater will love it. Naxos island is the largest of Cyclades Greek Islands situated near Mykonos Island. The island is well connected by ferries and domestic airlines. 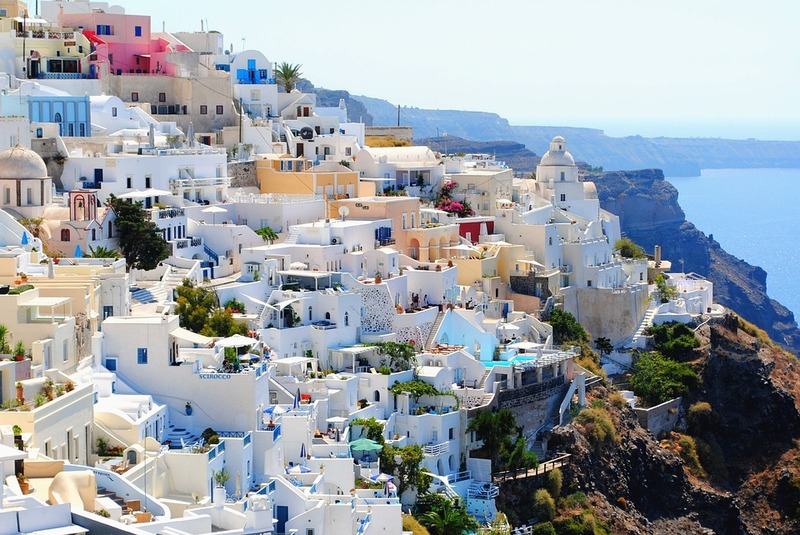 It is about 5 hours from Santorini or Athens by ferry. The island is the perfect paradise for families with kids for its prestige beaches, water sports, nature and authentic Greek foods. 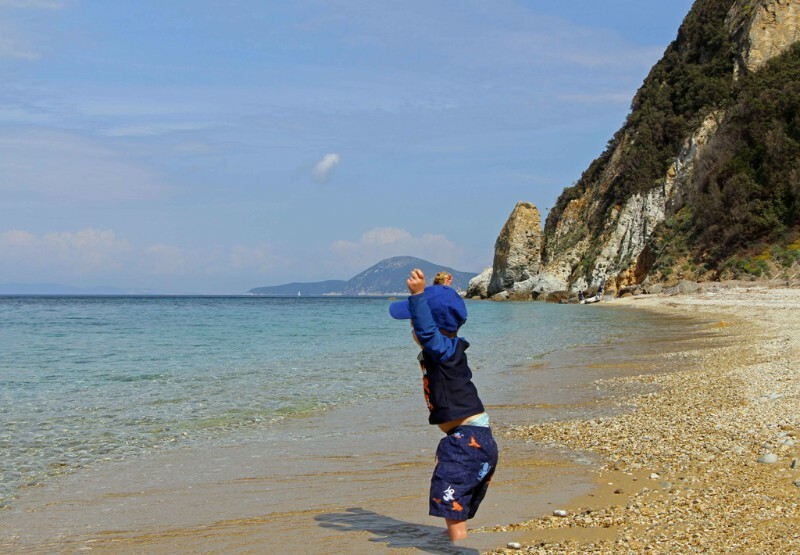 There are numerous beaches all around the island but Agios Prokopios is the best sandy beach for kids. Its coastline stretches for about 1.5 km and offers the basic facilities like bars, sun-chairs etc. On the Naxos island, there are some hiking routes as well where you can climb the tallest mountain in the Cyclades islands for beautiful views over the sea. If you don’t prefer to hike with kids, then the ruins of Apollo temple can be a nice place to observe a sunset. One can find a lot of accommodation options like hotels, apartments and resorts at much cheaper rates as compared to Mykonos or Santorini. The restaurants along the nicely developed promenade serve fresh seafood. 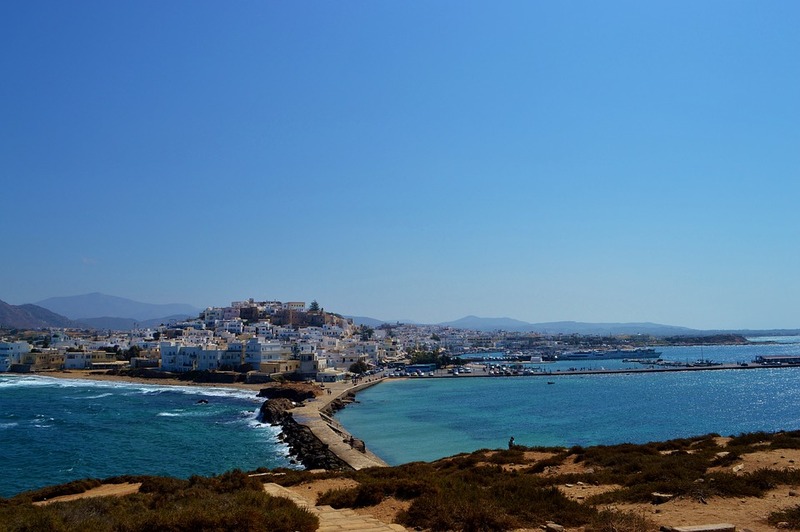 If you are looking for a family vacation on Greek islands with beaches and light outdoor activities that too away from touristic hustle-n-bustle, Naxos island is the place for you. Ireland is a great destination to explore with families. 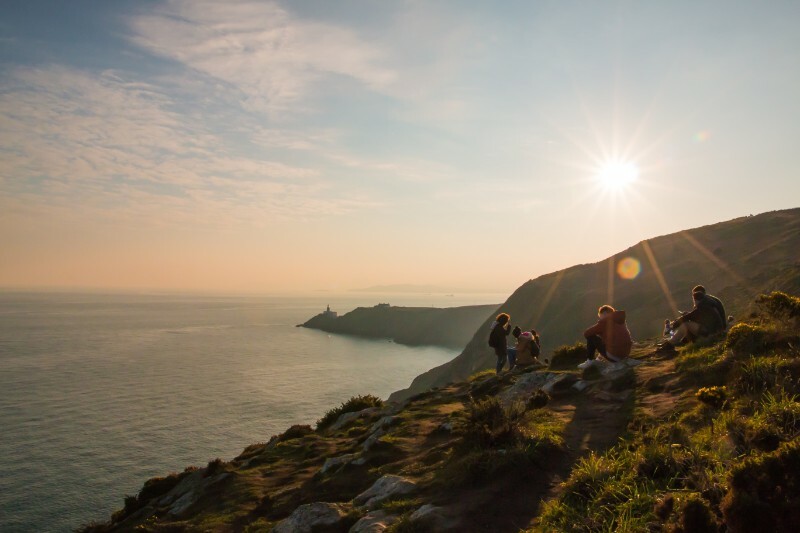 There is plenty to do if you are an outdoorsy family with many opportunities for activities such as walking, cycling, fishing, kayaking, body surfing, kite-surfing, golfing, horse riding and many others. The island is beautiful with an interesting landscape that ranges from deserted loughs, beautiful sandy beaches, windswept mountains, high cliffs and rocky shores to calm green countryside with rolling green hills. The weather can be unpredictable but there is also plenty to do indoors in the cities and towns where most local establishments will be happy to show the Irish hospitality. The food is great and the people are very friendly and keen to welcome all kind of travelers, from young to old. Ireland is definitely one of the top family holidays destinations in Europe. Planning a trip with your family? Be sure to check out this 7 day itinerary for Ireland. Great Britain has to be one of the best islands for kids. I know I’m biased, as I’m British, but hear me out. The countryside is never far away and it’s well-kept with several national parks and unspoilt areas of outstanding natural beauty. Let the kids loose in the Lake District, Snowdonia or the beaches in Devon or Cornwall. Many places will have specific family friendly activities and accommodation available. Great Britain has an incredible history. 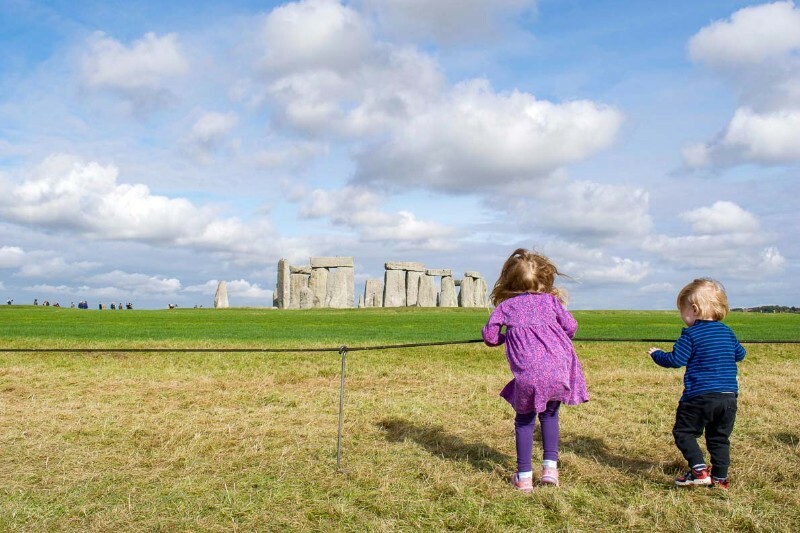 Even the kids will love discovering historical sites – try some of Northumberland’s castles, spend the day on one of the best sandy beaches in Kent, visit the scene of many beheadings at the Tower of London or find out about the island’s first inhabitants at Stonehenge. Great Britain does historical exhibits really well and kids will always find something aimed at them. The cities aren’t bad either; buzz about in London seeing the museums and the iconic sights of course, but don’t forget about Bath, York or Edinburgh either – they may be much smaller but they have just as much to interest kids. Alternatively you could just go to a good theme park – there are plenty that cater to kids of all ages from toddler (Peppa Pig World) to teens (Alton Towers). Whatever you decide to do, families will love Great Britain. Just pack your waterproofs. The Island of Elba is the third largest island in Italy. With over 100 beaches and some interesting history, being the place where Napoleon Bonaparte was exiled, it’s a great family friendly destination. Getting to Elba from either Rome or Florence is relatively easy by train and ferry. Even on the way, kids will have a blast. The ferry terminal has two play areas (one inside and one outside) plus some of the ferries also have a large play area. For families who prefer to not rent a car, you can stay in or near the main town of Portoferraio where you can get around by bike (child seat rentals are available for babies & toddlers). Once on the island there are plenty of activities sure to keep everyone happy. The town has a historic center where the narrow streets, Napoleon museums, forts and harbour are fun to explore with kids. There is an incredible amount of hiking, including many kid friendly hikes. After a morning of hiking, spend the afternoon on one of the many stunning beaches. The beaches may not be sand, but these beautiful white pebble beaches with crystal blue water are perfect for families. The waves are small, the water shallow and which kid doesn’t love throwing pebbles into the sea? 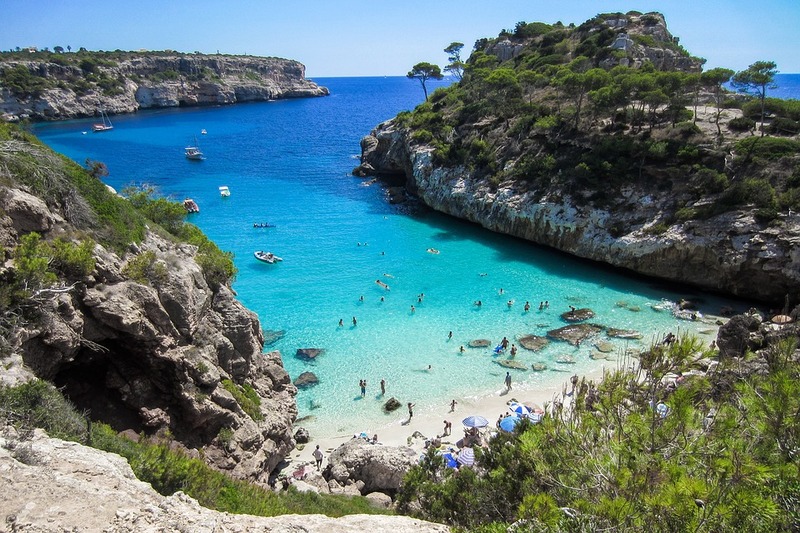 Mallorca is a small Spanish island off the South of mainland Spain. It offers a lot for families; numerous beautiful beaches, markets, malls and many waterparks. Spain really caters to families and this small island is no exception. It is easy to get around and there are many beautiful hubs on the island that offer a lot for those travelling with kids. The beaches are clean and safe for kids. The Isle of Skye, Scotland is a place with legends of fairies, castles to explore and wide, beautiful places to run free. The perfect place to travel with kids. Only a short drive from mainland Scotland, the Isle of Skye is small enough to explore in a couple of days. There is a wide variety of family-friendly accommodation from camping, hotels and airbnb. 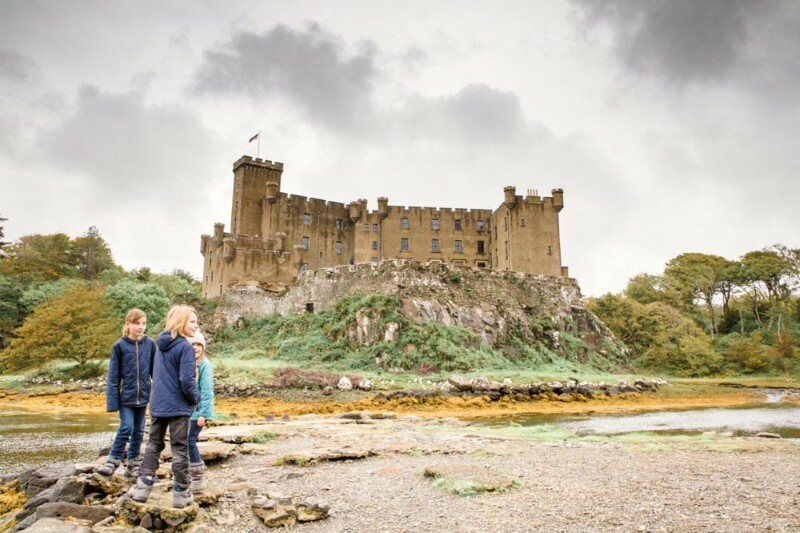 Children will love searching for lost keys in Dunvegan Castle, jumping on stepping stones at the famous Fairy Pools and looking for the wee folk in the stunning Fairy Glen. On kid friendly hikes you may be lucky enough to see seals basking on the shore and deer grazing amongst the heather. Dinosaur crazy kids can search for 170-million-year-old tracks and family members of any age will love seeing authentic island life at The Skye Museum Of Island Life. We visited Santorini with our kid who was only a year old. The town of Fira is a bit touristy for the numerous nightclubs and pubs. The quiet town of Oia is best suited for the families. The cobbled stone alleys of Oia are car-free and offers some of the great views of the caldera. There are numerous whitewashed buildings, churches and small squares where kids can run around freely. One of the best things to do in Santorini with kids is to visit the beaches. There are several hiking trails but we instead chose to do a catamaran tour. You can either do a morning tour which comes with lunch or a sunset tour. Our tour was with a small group of about 10-12 people. So our kid had enough space to move around and was not uncomfortable due to a large crowd of strangers on the boat. The tour includes stops at the hot spring, Red Beach and black beaches of Perissa and Kamari. The lunch was prepared on board and was served hot. The archaeological ruins of Akrotiri is another important attraction in Santorini. Akrotiri is ruins of an ancient civilization which can be a fun and educational tour for the kids. Greece is a great destination all year round but these are the best spots in Greece during October. We wanted to take our toddler son to a city in Europe for a week, and after a huge amount of research opted for Ortigia, an island which is the historic core of Syracuse in south-eastern Sicily. We were looking for somewhere family-friendly, and so Ortigia proved to be. It’s very small and compact, barely 1 km across and 600 metres wide. The key for us is that much of it is pedestrianised. The lungomare road around the island’s coast has traffic, as do a few other roads, but most don’t. Traffic is also restricted: the only transport from the station in Syracuse is a tiny 8-seater electric bus that runs every 20 minutes. This gave our Little Man, who has always yearned to roam, the freedom to run. He loved the gardens overlooking the Tyrrhenian Sea on one side, and climbing the small fort on the other. He also loved exploring all the narrow backstreets and alleyways, always somehow finding the energy to keep running on. His favourite place on Ortigia – and ours – was the Piazza del Duomo, a long, spacious square centred around the beautiful Baroque façade of the cathedral. We were fixtures at the café opposite most nights for caffe and gelato. It is one of the most beautiful squares in Europe, at a fraction of the coast of somewhere like St Mark’s Square. And all that endless room to run every night helped get the little fellow off to sleep. And there you have it! An incredible array of family-friendly islands scattered around the world to inspire your wanderlust and deliver the island holiday of your dreams! 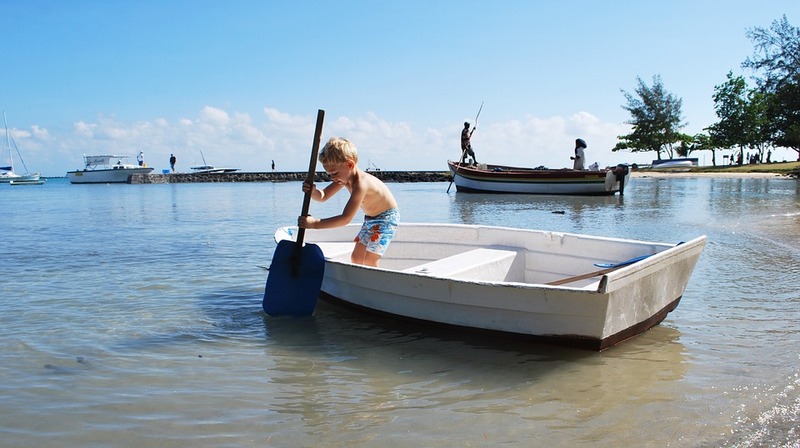 Which island is your favourite family-friendly island to travel to? Which one from the list above have you set our sights on as the destination of your next family vacation? Or maybe we’ve left off your favourite! I love all these suggestions and have a few others to add to your list. Our family has enjoyed all of these places in our recent travels and we think other families would love them as well. 1) Puerto Rico – good food, great beaches, friendly people, a rich history, what more do you need? Currently recovering from Hurricane Maria, but it’s definitely welcoming tourists with open arms. 2) Prince Edward Island, Canada – I hate to even share this, but it is one of the most magical, off the grid experiences we’ve ever had. We had a rental home with a private beach and explored the island’s National Parks, sand dunes, small towns, and lighthouses. Oh and the seafood is amazing! 3) Washington Island, Wisconsin – accessible by ferry from Wisconsin’s Door County Peninsula, this island is a perfect escape. Lavender farms, quaint mom and pop stores, a limestone pebble beach with crystal clear waters (one of five in the world). It was amazing! Ok, enough for now, but great post and I love all the suggestions! Hi Kirsten. Thanks so much for your extra suggestions. All of them sound fab!!! A few MORE for the endless bucket list! I do question the definition of Islands when you include Ireland New Zeland and Great Britan none of which I would take my kids to for an Island holiday. I also would not take my kids to Taiwan too polluted for children, when they are older yes. I agree with Mauritius, Seychelles, Zanzibar, Any Island in Thailand … that is the limit of my island experience for now. So many great suggestions. Have been to a few of these myself but have yet to visit any islands with my toddler. Now I have a list of places to travel with him in the next few years. Wow! What an amazing list! I’ve saved quite a few for future travels. Thanks for taking the time to write up such a great list. I have been to Sentosa Island with my Kids & they had a great time there. They were very amused & happy clicking pictures at Trick-Eye Museum. I am planning next to visit Philippines, surely would visit Palawan. Thanks for the informative post! Out of Office: Our “Spicy” Second Honeymoon!